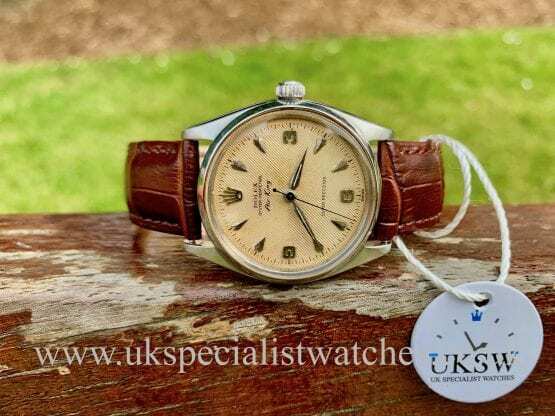 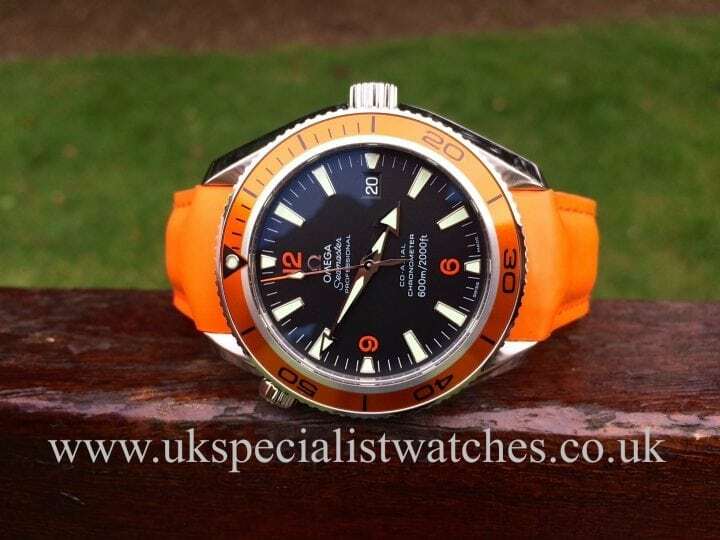 The Seamaster range was first seen in 1948, this confirmed Omega’s position among sailors and divers as the tough and reliable watch. 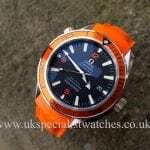 2005 saw the launch of Planet Ocean series, with the revolutionary Co-Axial escapement. 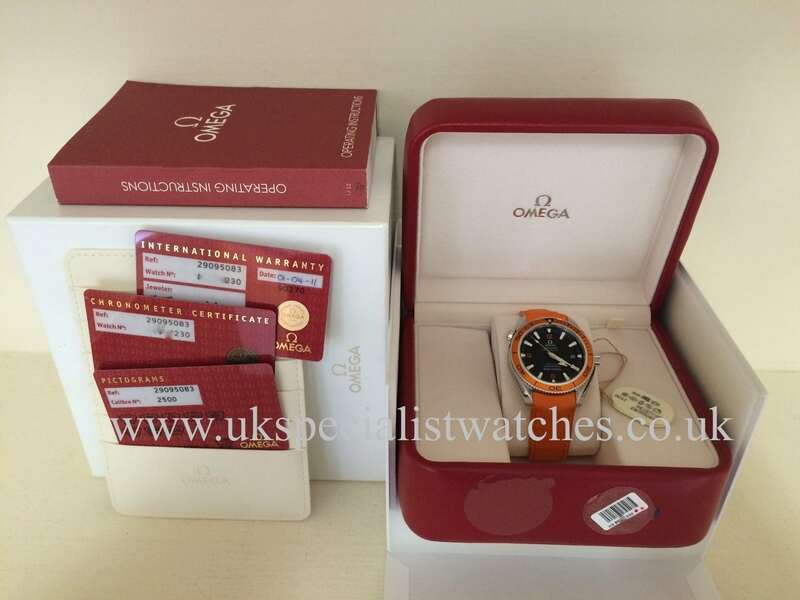 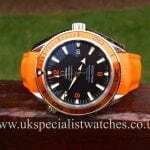 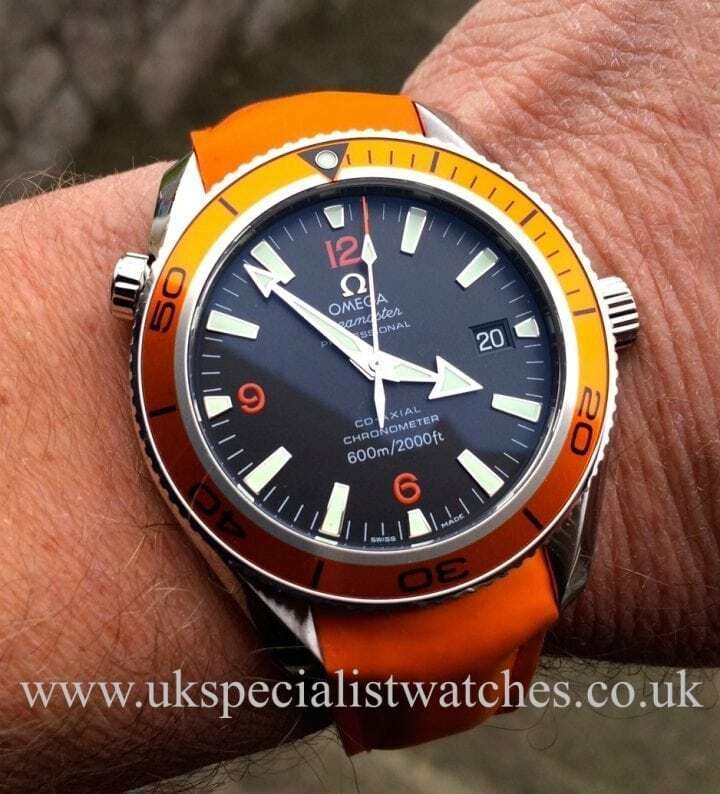 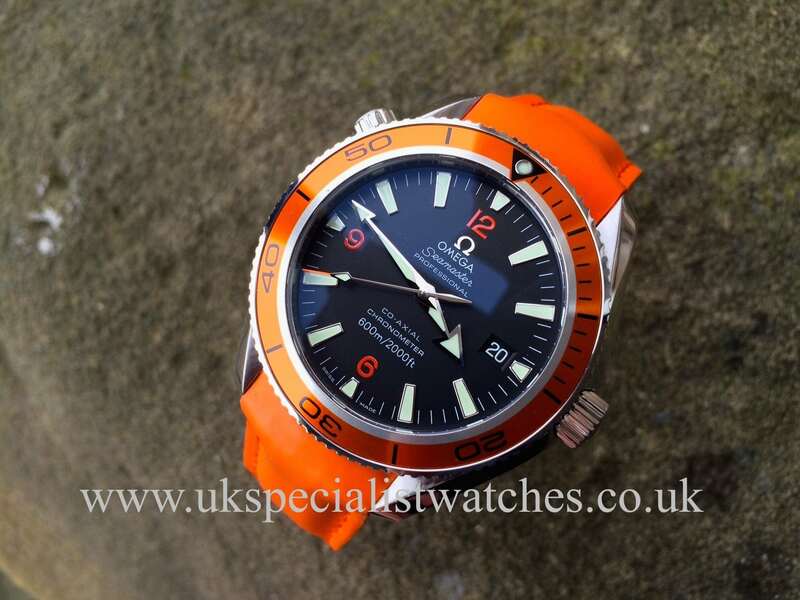 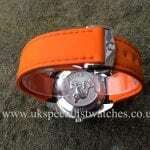 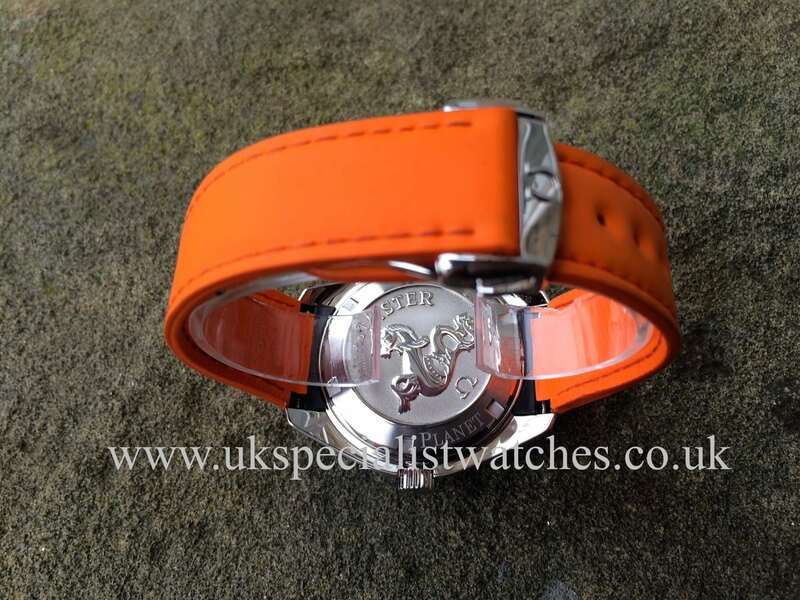 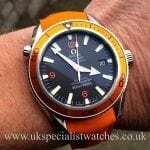 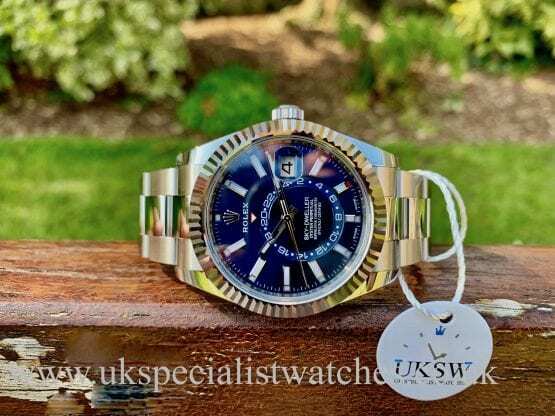 This model has become very popular especially with the orange strap and aluminium bezel, 42 mm stainless steel case automatic chronometer certified movement, date positioned at 3Oclock ,water resistant to 600m- 2000ft fitted with a Orange rubber strap. UK supplied April 2011 complete with all boxes and papers, swing tag also the original crystal and case back stickers.